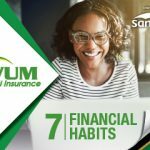 Many accidents could be avoided if everyone had their car side and rearview mirrors positioned correctly, eliminating blind spots and making it easier to change lanes quickly. 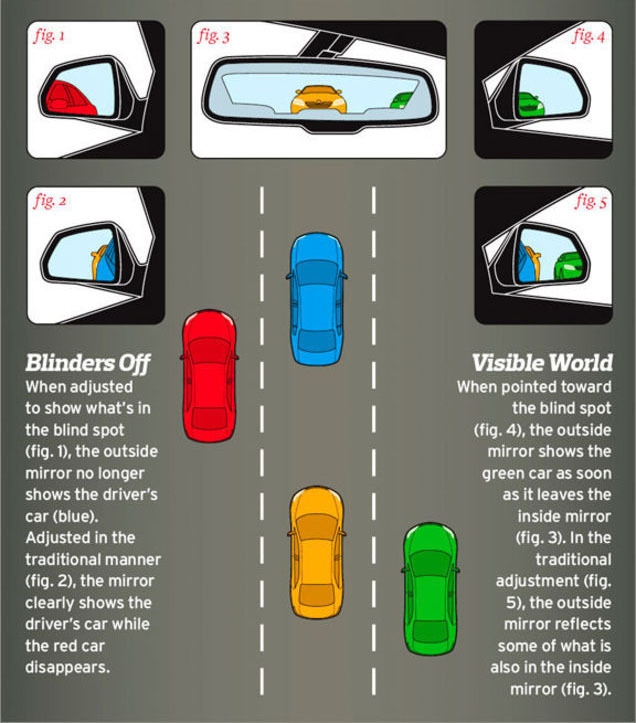 This illustration from Car and Driver shows how your car mirrors should be positioned. The paper advocates adjusting the mirrors so far outward that the viewing angle of the side mirrors just overlaps that of the cabin’s rearview mirror. This can be disorienting for drivers used to seeing the flanks of their own car in the side mirrors. But when correctly positioned, the mirrors negate a car’s blind spots. This obviates the need to glance over your shoulder to safely change lanes as well as the need for an expensive blind-spot warning system. If your side mirrors right now reflect some of your own car, best adjust them so you can avoid blind spots and the accidents they cause.